The straight to the bone, only the most murderous moments history. No time to waste on the nice bits? Get the gore. Nothing more. Are you the kind of diehard reader who likes your history really revolting? This book gets you straight to the bloody heart of the matter. All the yuckiest bits from 20 years of this epic series. The boring bits are most definitely out and the bloodcurdling bits are totally in. Yes, lucky reader: it’s the brutal final cut. Full of facts. worth the money. This book is brilliant because I am very intrested in it. I love historie books that are funny. 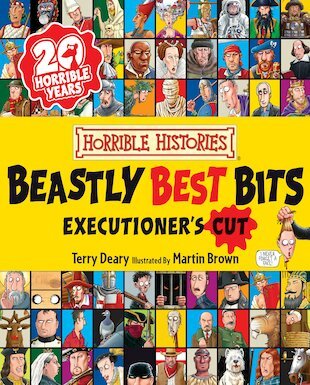 terry deary is a good brilliant fabulous author. a funny book you wont even realize your learning!